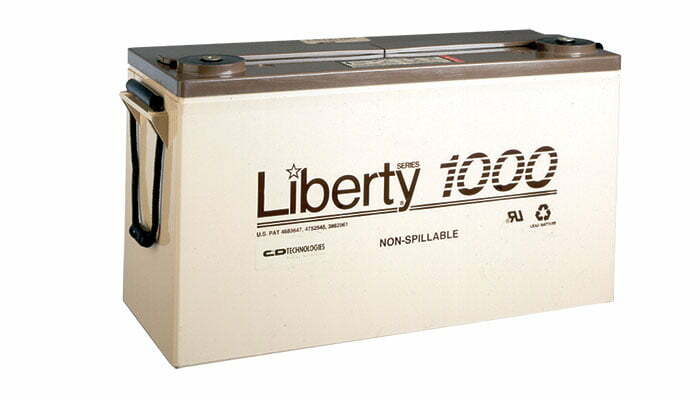 Liberty Series 1000 valve regulated lead-acid (VRLA) batteries are engineered to provide performance reliability and consistency over the life of the product. Designed using patented processes, these products offer long battery life with minimal maintenance. The versatile Liberty Series 1000 10-year VRLA product fits virtually anywhere and provides superior performance in the most demanding applications. Terminal Characteristics 0.625 in diameter, threaded copper insert, 0.75 in deep. Fasten with 1/4-20 stainless steel hex bolt /washer. NOTE: LS2-600 has 2 cells connected in parallel for 2-volt unit.